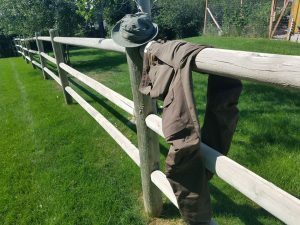 I picked up a pair of the Fjallraven keb trousers back in the summer of 2017 just before departing to our annual Freak Frog Montana event. These pants are super comfortable to wear. 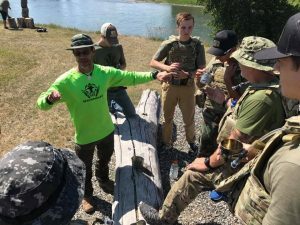 In the photo above I am wearing the pants during our Freak Frog Montana 3 day event. I wore the pants every single day and they are tough as a fence post. 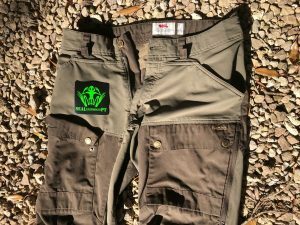 The Fjallraven Keb trousers work really well for movement and I have used them for full range deep back squats to riding my mountain bike during cooler temperatures (low 60’s to 40’s). If they get a little too hot when biking I can zip down the side zipper on the pants leg with one hand and it allows you to get more wind on your legs. When it gets cooler during the ride just zip them back up. What makes these pants different are that they have a unique fabric (G-1000) in all of the areas where you need stretch (in the crotch). It has two pockets on the front legs which are perfect for a cell phone or a map for hiking. Think of it as a four way stretch so you can climb a rock face or do a full deep squat without having to worry about any fabric tightening up on you. You can tighten the bottom of the pants legs to keep out debris by tightening a small strap at the bottom. This works great if you are riding a mountain bike and dont want to get your pants leg caught in the chain. 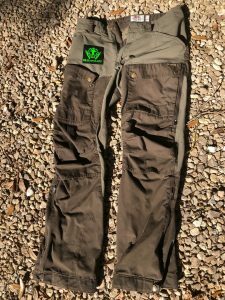 The lower leg has an extra layer of tough fabric which is great if you are hiking through high grass and brush or vines. I dont wear a belt with these pants as they fit snugly on the waist and dont try to drift down. I just traveled up to the woods in Alabama for a long weekend and wore these pants for 3 days straight and never took them off. Super comfortable. The G-1000 material can get a small fray when you go through heavy thorns and vines but that is a small price to pay for the breathability that it gives you. The fray that I have noticed does not increase over time and stays put so the fabric is still very immune to extra field abuse. The pants are 65 % Polyester, 35 % Cotton so they will dry quickly if you get them wet. I just put them on the clothes line for an hour or put them in the dryer on light heat. Brad McLeod is married with two kids and an all around average family guy. 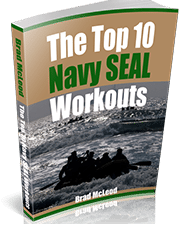 His SGPT motivational audios have been downloaded in 27 countries around the world. 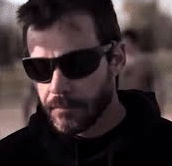 He grew up in Tallahassee, Florida and despite training all the wrong ways – made it to Navy SEAL training in Coronado, California. 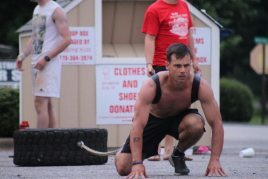 He flunked out of Navy SEAL BUD/S training after making it over half way through (6 months of grueling training). After a year in the Fleet Navy on the USS Cleveland (LPD-7) he came back to graduate BUDS and serve on SEAL Team Four.